As a boy in war-torn Somalia, Abdi Nor Iftin idolized Arnold Schwarzenegger and danced to Michael Jackson. His love of American language and culture served as an escape from the violent chaos around him. Eventually, this passion triggered a remarkable series of events that led to his actual escape to America. Iftin’s blunt, humble voice tells an original story that reflects the universal struggles of those trapped in conflict zones who dream of a different life. Iftin’s nomadic parents moved to Mogadishu after a drought devastated their herd, his father finding work as a basketball player. Somalia’s unpopular, costly war with Ethiopia in 1977 caused unrest among tribal factions and fighting broke out in Mogadishu the following year. Iftin’s family fled by hitching rides and narrowly escaped execution at numerous checkpoints. His mother’s experience as a nomad served the family well as she fended off vultures and hyenas. Pregnant, with three small children in tow, she soothed their bloody feet with the chewed leaves of a native plant. Dehydrated and close to starvation, the family trudged passed dogs feasting on human bodies. Out of options, they returned to the city still under siege. “Mogadishu had become a city of women and children, a city of graves,” Iftin writes. Life settled into a desperate routine of making a long daily trek to the water pump, lugging a jerry can while dodging bullets from rooftop snipers. Food had to be scavenged and the family often went without. Iftin’s mother delivered her baby, who died of malnutrition. It fell to Iftin and his older brother, Hassan, to provide. They devised clever ways to make money, like collecting dropped scraps of qat, the leaf chewed by Somali men, and selling it back to them. Despite the chaos in the city, Iftin and his brother attended a local makeshift madrassa. Already debilitated from malnutrition and the chronic stress of survival, they were subjected to daily beatings from their teacher. When a neighbor began screening American movies on her small TV, Iftin was captivated. He watched Terminator and Die Hard, enjoying the shooting scenes that felt so familiar to him, but also enjoying the glimpse into another culture. He found he had a knack for language and began to pick up English from the movies’ dialogue. Iftin’s connection to American language and culture was his only joy. Iftin came of age in war-ravaged Mogadishu, attending the brutal madrassa, scrounging for food, dodging gunmen and taking care of his family. A new wrinkle in the Somalian conflict was the rise of al-Shabbaab, a radical Islamist group. Adulthood offered him grim choices: become a madrassa teacher or join the militia. After one unsuccessful attempt to leave the country, Iftin had a chance meeting with an American journalist. His English language skills made him a great contact and led to a series of stories in the British and American media. Relationships with Good Samaritans followed, and eventually Iftin’s overseas supporters funded his escape to Nairobi, Kenya, where he was reunited with his brother, who had left years earlier. Life in “Little Mogadishu,” the Somali area of Nairobi, had its own perils. Somali immigrants couldn’t work legally in Kenya, so they hawked goods on the street and endured constant police harassment. An al-Shabbaab attack in the city would trigger a roundup of Somalis, and Iftin and his brother would hide in their tiny apartment sometimes for days with no food. Despite his team of supporters in the U.S., Iftin as a single man had little hope of gaining refugee status in America. On a whim, he spent 20 cents to enter an American green card lottery. Incredibly, he won. Another long process of hurdles, close calls and narrow escapes followed, culminating in Iftin’s legal arrival at Boston’s Logan Airport in 2014. Iftin’s new life in Portland, Maine, is not without struggles. He works as a Somali interpreter and sends the majority of his paycheck home to his family. His brother still lives in Nairobi, the rest of his family in Somalia. 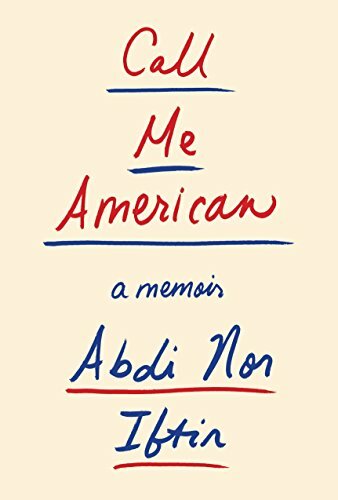 He faces criticism from his fellow Somali immigrants in the U.S. when he embraces American culture, and he still deals with pressure to conform to the demands of Islam. Iftin’s account of his journey does not mince words or attempt to soften the worst atrocities he and his family experienced. Loyal and grateful to his mother, he shows particular sensitivity to the injustices suffered by women in Somalia. Told simply and well, Iftin’s story explains the incredible bravery and hope necessary to live in the crosshairs of war and to find a way out.